The Holocaust would have never occurred if it wasn't for Hitler's rise into power. This along with the development of the Nazi party led to anti-Semitism in Germany. To better understand the reasons behind the Holocaust, you must first understand the man that started it all: Adolf Hitler. The Nazi rise to power brought an end to the democratic rule of presidential leaders. 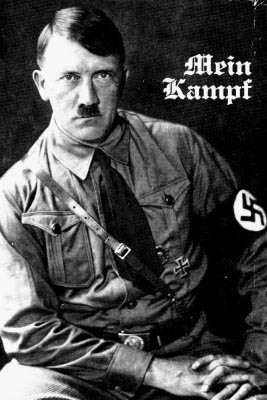 Hitler was appointed chancellor on January 30, 1933 and he began to lay down the foundations of the Nazi power. Guided by racist and authoritarian principles, the Nazis eliminated individual freedoms. On February 28, 1933, the Reichstag Fire Decree permitted the suspension of basic civil rights. The Third Reich became a police state where Germans enjoyed no basic rights and the SS, the elite guard of the Nazi state, had increasing authority through its control over the police. Political opponents, especially those in the Communist Party of Germany and the Social Democratic Party of Germany, along with Jews, were subject to persecution and discriminatory legislation. In the first two years of his chancellorship, Hitler followed a policy of coordination in which political parties, state governments, and cultural and professional organizations were brought in line with Nazi goals. Also, the culture, economy, education, and law all came under Nazi control. Using the Civil Service Law of April 1933, Hitler began eliminating Jews from governmental agencies, and state positions in the economy, law, and cultural life. Workers, employees, and employers were forced into the German Labor Front, which was under the control of Nazi leader Robert Ley. The Nazis also attempted to synchronize the Christian denominations and their youth groups, but were not entirely successful. On March 23, 1933, the German parliament, Reichstag, transferred legislative power to Hitler's cabinet and lost its reason for being. By mid-July, the Nazi party was the only political party left in Germany. The other parties had been either outlawed by the government or had dissolved under pressure. With the establishment of Hitler's dictatorship, the Fuehrer principle came to guide all aspects of German life. According to this principle, authority--in government, the party, economy, family, and so on--flowed downward and was to be obeyed unquestioningly. Upon the president’s death in August 1934, Hitler had himself designated as both Fuehrer and Reich Chancellor. Armed forces swore an oath of loyalty to him. While as Reich Chancellor Hitler's personal power remained limited by the laws of the German state, as Fuehrer his personal power was unlimited.